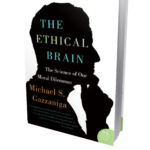 Books by Michael Gazzaniga - Jon Lieff, M.D. 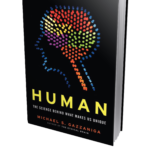 Michael Gazzaniga is a pioneer in neuroscience who invented the phrase “cognitive neuroscience”, and did original work with split brains as well as many other current seminal concepts. He has written many good books including some standard textbooks. Perhaps his most important book is most recent: Who’s in Charge? 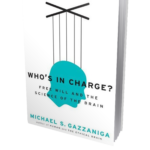 : Free Will and the Science of the Brain. Among scientists he has taken the broader, less popular view that while the brain enables the mind, mental activity cannot be just the activities of neurons and brains. He notes that viewing mind as emergent from the brain tells us nothing. 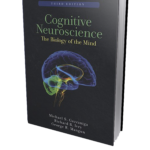 Although he has fully described the modules of the brain in his previous books, here he notes that the mind cannot be considered as the property of one brain but rather the interaction of many brains. Because he has taken a prominent role in the question of how neuroscience (and neuro-pseudoscience) is used in legal matters, he understands the critical importance of people having responsibility for their actions. Some current views of free will as an illusion of the brain could be used to undermine the appropriate prosecution of criminals. Here, one of the pre-eminent neuroscientists of this era emphasizes that people and mind are more than brains.